Cat Head Smell Spray from Japan's Nekobu makes everything you spritz it on smell like puss- er, fresh baked bread. Yeah, that's the ticket! 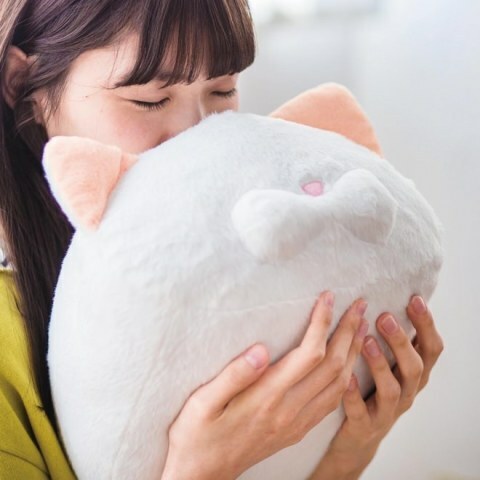 “Mohu Mohu Forehead Scent Fabric Water”, to use the product's translated name, was specifically formulated to replicate the subtle yet sublime scent of a cat's head and neck. That feline foreheads even HAVE an aroma may come as some surprise to many out there – cat-owners included – but many others can vouch for their kittehs exuding a fragrance not unlike freshly baked bread. That's BREAD, not Pop-Tarts. 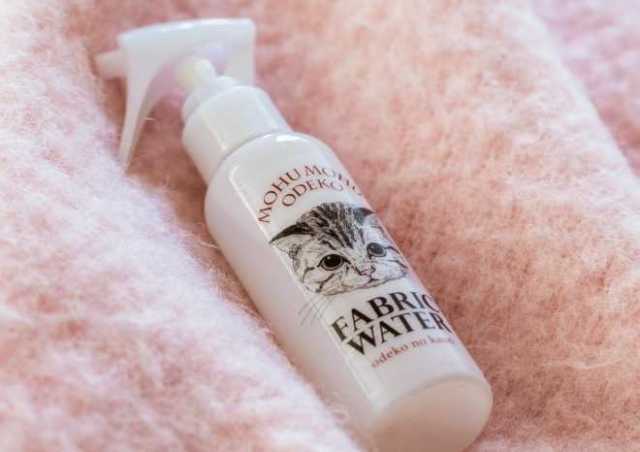 Should you number yourself among the multitudes of cat head scent aficionados, Nekobu has got your feline fume fix in a ready-to-spray 100ml (3.38 fl.oz) bottle imprinted with a cute cat's face. It's recommended the user spray the Fabric Water on, er, fabrics such as sofa cushions, stuffed animals, bed linens & duvets, and so on. Applying the aroma to one's own clothing might not be the best idea lest a short walk outdoors lead to every cat in the area following you back home. Ditto for spraying any actual cats (or dogs), for similarly obvious reasons. According to the Felissimo foreign-sales product page, Mohu Mohu Forehead Scent Fabric Water contains (by descending proportion) water, ethanol, PEG-40 hydrogenated castor oil, citric acid, citric acid Na, benzoic acid Na, and “perfume”... not exactly giving away any trade secrets, are they?